Murano Glass Label in 24kt Gold Foil fused into the back of each pendant! A simple yet elegant little fused pendant with a transparent color and random scrolls of 24kt gold foil exposed beneath the color. Size is approximately 30mm by 30mm square with the 5mm hole on the diagonal. The pattern is the traditional Greek Key. 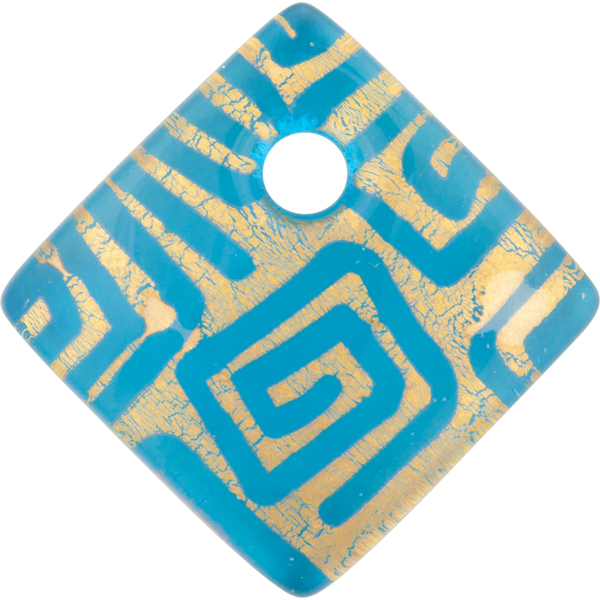 The base is vibrant aqua Murano Glass.